Impaired driving kills thousands of motorists each year, and ad campaigns and increased police enforcement have done little to stop it from happening. When we say “impaired driving,” most think about alcohol. But marijuana usage prior to getting behind the wheel can be just as dangerous. Professors from Israel’s Ben Gurion University wanted to see which was worse; drink driving or stoned driving. 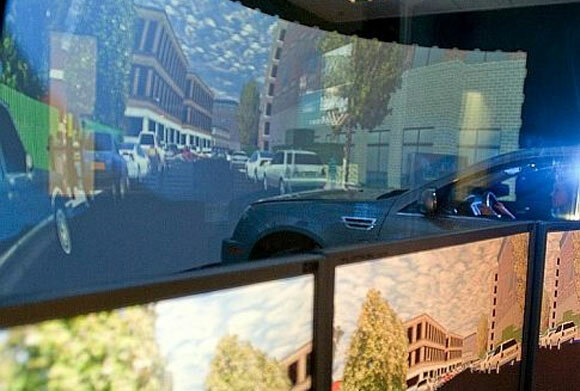 The university chose 14 students to participate in the study, which consists of a realistic driving environment that includes a 1600degree screen and a gold Cadillac STS simulator. Not surprisingly, the school didn’t even need to advertise the study to get its test subjects. Apparently, some college-age students will readily participate in studies that involve alcohol or marijuana. Who knew? The results of the study were less than surprising. The drivers that consumed vodka drinks drove faster while also being very cocky about their abilities. Pot smokers drove more slowly, but like the drunken drivers, they also swerved excessive and changed lanes a lot. The chronic crew also felt they were more aware of their impairment, which you may think is a good thing, but researchers say the detachment from reality is actually very dangerous. So who wins the battle of drunken drivers verses stoned drivers? Well, nobody. They’re both dangerous, unless you’re in Israel behind the wheel of a gold Cadillac STS simulator.